The eel is a critically endangered species, more endangered than the snow leopard and the tiger. Bristol is one of the leading European forces in saving the eel. 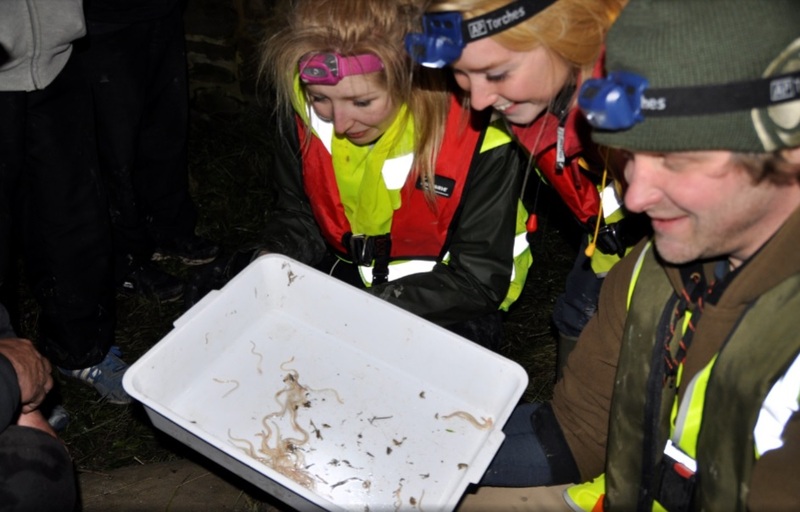 As part of their ongoing commitments to deliver alternative measures under the National Environment Programme, Bristol Water have teamed up with Westcountry Rivers Trust (WRT) and Bristol Avon Rivers Trust (BART) to trial a unique glass eel monitoring programme. The Eel is a red list endangered species and through its extraordinary life cycle it migrates across the Atlantic to live in our rivers and lakes, where if grows for decades before making the return journey to spawn. Throughout its epic journey it faces a number of threats, such as barriers in the form of weirs and dams, over exploitation and a distinct loss of wetland habitats. 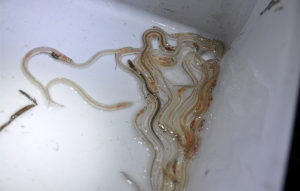 The aim of this study is to trial a new monitoring methodology samples glass eels (eels that have just reached our coastal waters and have yet to develop pigmentation) at coastal “pinch points”. These pinch point sites are areas where the eels will gather to ascend a barrier or tidal confluence, such as tidal flood gates, weirs, etc. The young eels are attracted to the fresh water outputs and big tides bring them up the rivers searching out a home where they develop for many years. The new methods involve a vertical drop net, otherwise known as the ballerina Skirt net, that provides refuge for eels while they wait out the tide to access their new habitats, the net bundle is lowered into position and checked regularly through a tidal period, and once high tide is reached the eels will likely continue upstream and leave the refuge of the nets. We will be out of the River Axe on Thursday 11 February using the equipment for the first time. This monitoring effort has a number of aims; to gather data on an important life history stage which we don’t know a great deal about, to help provide information for rivers where we know eels access but don’t have the data on numbers, to “re-stock” the captured eels over the nearest barrier as a conservation effort and finally to unite volunteers in a large scale citizen science programme. 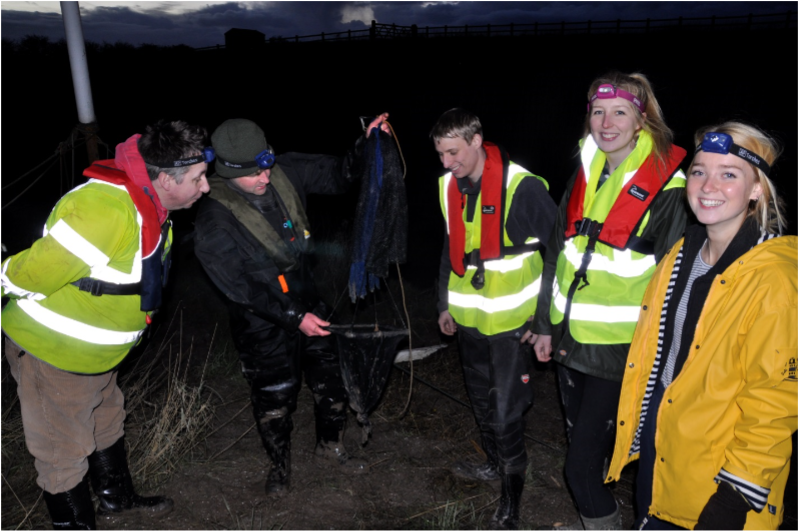 This first stage is focused on trialling the sample efforts and will be undertaken on the Rivers Axe and Pill (Bristol Avon) in Somerset with the expectation that what we learn can be applied to other rivers and tributaries in the Bristol water catchment area. 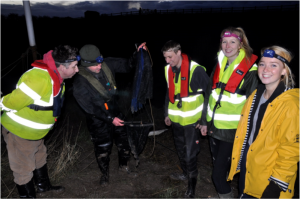 Finally, this project has become part of the “World Fish Migration day” and will be showcased as a UK conservation effort alongside other important projects.